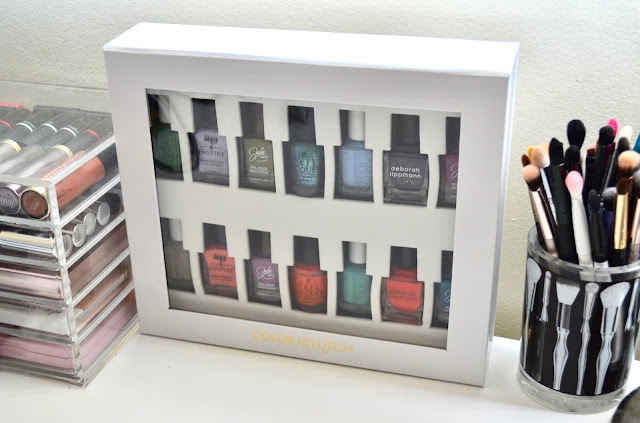 Today I have a look at a fun new way to store your nail polishes either on the go or organized on a desk/shelf. 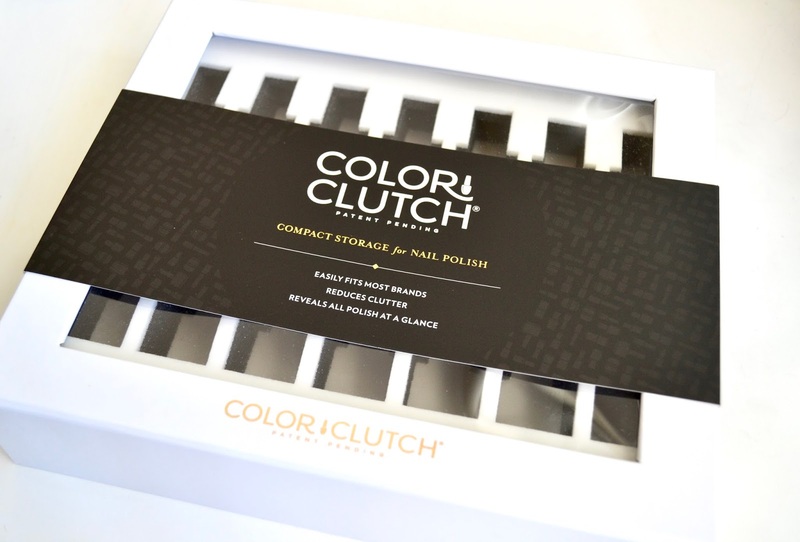 The Color Clutch provides a way to safely take your nail polishes with you anywhere with foam and clear top case. The storage cutouts look like they are the same size so I wasn't sure how well it would work with different polish bottles. Once I put everything in its place, the foam conforms to whatever kind of bottle you want to store. Find out more below! Here is how it looks when you pick up the Color Clutch. There are different colors online like this white one, black, and a purple one where they partnered with Jamberry. I was pleased to see I was going to try out the white one since it goes perfectly with everything currently on my desk. A feature that I find pretty great is the Color Code boxes on the side of the Color Clutch. Once you have decided what polishes you are going to have inside, you can then swatch the colors on the side so you know what you have. 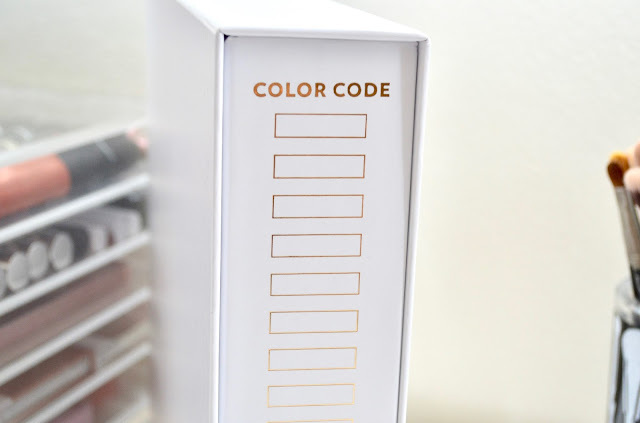 This is a great option if you are taking your polishes on the go and need a guide to show others what you have in the case. There is no guess work or struggling involved when you use this. I decided to choose different sized and different brand bottles to see which ones would actually fit. I have a mixture of drugstore and pro polishes and they worked out great. I did notice that China Glaze was not fitting it too well. I probably could of worked with the foam more to get it in, but I didn't want to force it so I chose a different polish. Here is how my final Color Clutch looked once I filled it all up. I love how everything fit so well and I have no worries about any of them slipping or sliding out if I was to take this on the go. I'm currently just using it on my desk, but I really enjoy how I can see all of the polishes through the clear cover. Also once I'm ready to trade any out any shades during different seasons (brighter polishes for summer/darker for fall), it will be easy to do. Color Clutch retails for $19.99 and can be found on their website and at The Container Store. Let me know what you think about the Color Clutch!